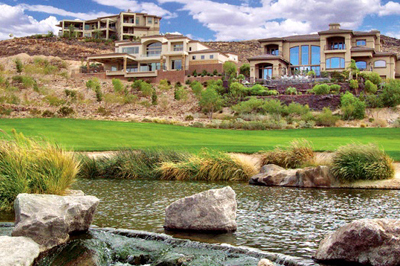 Known as "A Place to Call Home" Henderson is Nevada's diamond in the desert. Henderson is central to three of the greatest man-made attractions in the world- the neon of the Las Vegas Strip, the splendor of Hoover Dam, and the tranquility of Lake Mead. In addition to plenty of Henderson NV rentals to live, Henderson also offers a variety of art galleries, gardens, boutique shopping, and over 50 parks to enjoy. The city's comfortable year-round temperatures and the surrounding beautiful landscape provide the perfect setting for a multitude of outdoor adventures such as river rafting and hiking.Additionally, Henderson offers world-class restaurants, exceptional entertainment, and unique attractions in their premier city.Henderson is an ideal location for work, play, or relaxing and a premier destination to call home! Required Information – Government issued ID, 2 most recent pay stubs (or 2 years tax returns if self-employed or last 3 months bank statements), pet photo taken with applicant (if applicable). Landlord contact info for last 3 years. All adults aged 18+ must apply & pay a $35 app fee. Security Deposits and Admin Fees -Applicants with better credit and references will generally be approved at a security deposit of 1 months’ rent + $75 admin fee. Applicants with combined credit scores below 600 and references may still be approved with an additional deposit + an increased admin fee. Common Reasons to be Declined – evictions, unpaid balances due to landlords, credit score beneath 520, insufficient income, unsatisfactory references, felonies and recent bankruptcies. Unqualified occupants, pets and/or vehicles can also be a reason for decline. Learn more by reading our Application Policy segment of our application.